A chair with flair – a skull throne for your home! 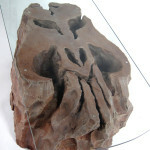 Themed foam skull furniture is just right for your gothic home or office. This uniquely designed chair radiates with the feel of a great adventure film! The foam carved skull throne was created as a functional art piece, sculpted by artist Richard Riley. The custom foam chair was made by hand and coated with fiberglass for a hard and durable surface. The sculpture is then carefully textured and painted with a unique aged finish to create the appearance of ancient carved stone. It’s not just furniture, it’s a functional, themed work of art! 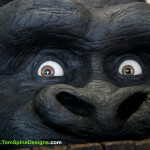 We can take your favorite books or movie genres and themes and then custom sculpt them into something to make your living room, home theater or office stand out! 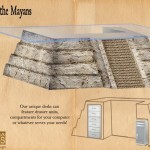 We can make coffee tables and side tables, desks and bars, custom seating or just interesting three-dimensional wall art. 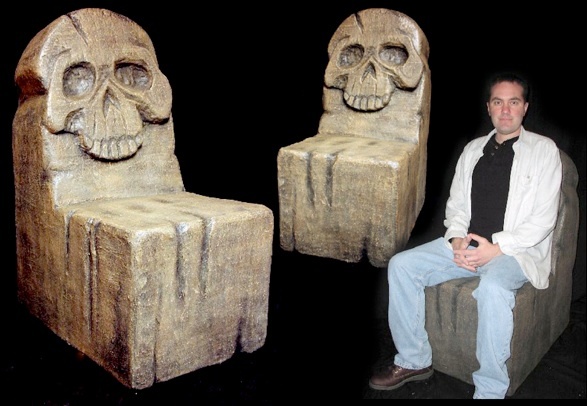 Whether it’s skull themed furniture like this chair/throne, or something more distinctly horror or sci-fi, we can make movie themed props, custom furniture or characters for trade shows, photo-ops, home cinemas, marketing campaigns, offices or your museum or business! Are you looking for a one of a kind gothic piece of skull furniture? Email or call today and let’s discuss your project!